Dafa888.com is Asia’s most popular online casino that offers a wide variety of online casino games including card and video slot games. Dafa888.com is powered by Playtech, the largest gaming software provider in the world and is a subsidiary of AsianLogic, a leading online and land-based gaming company in Asia. AsianLogic holds licenses from leading gaming jurisdictions around the world including Alderney and Curacao. In the Philippines, it holds a license from the Cagayan Economic Zone Authority (CEZA) and works in compliance with local gaming regulator, the Philippine Amusement and Gaming Corporation (PAGCOR). Dafa888.com is operated as Dafabet Casino and has been in operation in the online casino gaming industry since 2004. Dafa888.com makes use of Playtech and Videobet software and both downloadable and flash versions of games are available. The games offered by the casino include: American Roulette, Baccarat, Casino War, Cyberstud Poker, European Roulette, French Roulette, High Limit Baccarat, Keno, Blackjack, Poker Pursuit, Red Dog, Sic Bo, Three Card Poker, Vegas Craps, European Roulette Gold, Multihand 3 Card Poker, Video Slots, Reel Slots, Video and Power Poker. A Welcome Bonus of up to 0.8% Cash Back or a First Deposit Bonus of up to $500 with Dafa888 Casino‘s Clubs Welcome Offers. All registered players are eligible for the casino’s Cash Back club bonus promotions. The casino also provides a Refer-A-Friend Bonus where a user who invites a new subscriber receives US$30 in their account for a minimum amount of US$60 deposited into Dafa888.com by the new subscriber. The casino is licensed and registered under the jurisdiction of The Cagayan Economic Zone Authority, Philippines. Fair play is a major concern for online casino players. 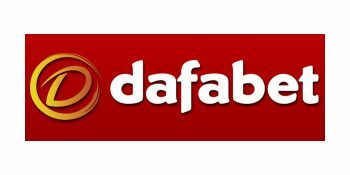 Dafa888.com takes measures to ensure that playing on their platform is devoid of risk and uses highly advanced encryption technology available (1024-bit RSA key exchange and 448-bit Blowfish), which makes it literally impossible for anyone to steal clients’ data whenever it is sent to the Dafa888.com servers. Once a user submits their information, it is protected behind an industry standard firewall. Dafa888.com is the first online casino based in Asia which provides online casino games to players residing on the continent. Examples of countries it caters to includes: China, Taiwan, Indonesia, India, South Korea, Thailand and Vietnam. Restricted Countries include the United States, United Kingdom, France, Hong Kong SAR China, Taiwan, Israel, Cyprus, Estonia, Philippines, Turkey, Spain, Switzerland, Bulgaria, Antigua and Barbuda, and Curacao. Dafa888.com offers a wide range of convenient and reputable payment methods, including major credit and debit cards, and direct bank transfers. Deposit methods include Bank Wire Transfer, CLICK2PAY, Neteller, Paysafe Card, Local/Fast Bank Transfers, Skrill. Withdrawal methods include Bank Wire Transfer, CLICK2PAY, Neteller, Visa, Skrill. There are no withdrawal limits. Currencies supported include the Chinese Yuan, the United States Dollar, the Euro, the Malaysian Ringgit, the British Pound, the Singaporean Dollar and the Thai Baht. As with most online casinos, users have to play regularly and achieve higher VIP levels to obtain more rewards and benefits. The casino’s 10 Tier Program Affiliate Program enables users to every dollar they wager. The Dafa888.com system keeps track of every player referred to by a user and rewards the player for the referral. Each payment method has different deposit limits. Minimum and maximum deposit are determined by the Dafa888.com system. Dafabet is rated one of the best online casino in Asia. They have 24 hours, 7 days a week customer supports who are both friendly and knowledgeable about their products. It constitutes a fast and secure deposit/withdrawal system, and live dealers that give a human touch to the games playing experience. Dafa888.com has established a unique position in the market by taking the average casino user’s gaming experience to high expectations with live games. Dafa888.com is an online casino also offering live dealer games using Playtech and Videobet software licensed in Cagayan Economic Zone and Free Port. It was one of 3 online gaming sites owned by AsianLogic Limited. The site’s primary language was Chinese. It supports both downloadable software and the ability to place a wager without a download. Dafa888.com features Live Dealers and Progressive Jackpots. There are over 90 traditional online casino games supplementing Dafa888.com’s live gaming. Dafa888.com operates from Asia and provides online casino games to players residing in the Asian continent and other counterparts. There is a wide range of exciting casino games at Dafa888.com which players can play for real money as well as fun. Dafa888.com is significantly reliable as their customer care gives you a prompt response whenever you contact them for queries. Dafa888.com customer support team is open 24 hours a day and can be contacted via live chat, email and telephone for any queries.